This is a book about a girl growing up in Egypt. It is divided into three sections, each one set during a particular summer, respectively those of 1984, 1998, and 2014, covering the time from when the narrator is a young child, a university student, and an adult. It's written basically as her thoughts during each particular summer. Personally, I didn't feel this book really connected with me on the whole. The first section I found very slow, and very little seemed to happen in it. The book did pick up quite a bit after that, but still it was more focused on an internal monologue, which is not really my favourite style of writing. I think the main problem I had was that I just wanted to know more about the narrator's life; we are not given many details, and few of the characters are even mentioned by name. I would have been interested to know a lot more about what it was like when she was studying film at university, but we are not told very much about this. I also found the narrative quite confusing at times; there is not really much in the way of plot, and the timeframe jumps around a bit since there are quite a few bits where the main character is remembering something that happened in the past, and it is not quite clear what is happening when. There are also references to people and events in Egypt's recent history which I didn't really know anything about, and there wasn't much explanation given about these things, so if you don't know much about Egypt then some of the conversations can be hard to follow. I don't think it was a bad book though; it just wasn't particularly to my taste. 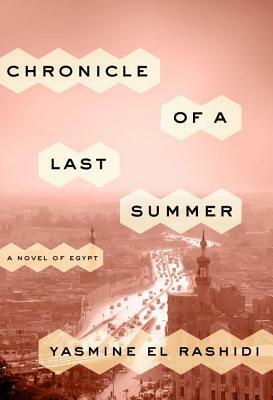 I did enjoy some things about it; I enjoyed the glimpses into the main character's life that we did get, I just wanted to know more about her and what her life was like, and more perhaps about what was going on in Egypt at the time. So don't let this put you off, if you think you would enjoy this book.